Protecting your yard and your family members from wild animals. Giving your children or grandchildren a safe place to play, far away from the street. Added privacy is the perfect thing for you this summer, especially if you like sun bathing. The right fence will help cut down on wind, which will make your next barbeque that much more enjoyable. However, over time, even the best fence sustains damage. Fences don’t last forever, after all. So spring is as good a time as any to make sure your fence is in good shape. First, inspect your fence and evaluate damage sustained during the harsh winter months. Fence Posts are most often affected by rot. Worst of all, fence posts are not easy to repair. Fence Slats are most often curved, sagging, or just falling off your fence. Some slats can be easily repaired and nailed back into place. Others can be replaced individually. Fence Gates are often damaged at the hinges. Are you having trouble opening or closing the gate? Is it something new hinges or a little WD-40 could fix? Once this inspection is completed, you have a very tough decision to make: Fence Repair vs. Fence Replacement. Fence Repair: If fence damage appears cosmetic, meaning there is no apparent structural damage, a simple fence repair could be just what the doctor ordered. Cosmetic damage is easily repaired. 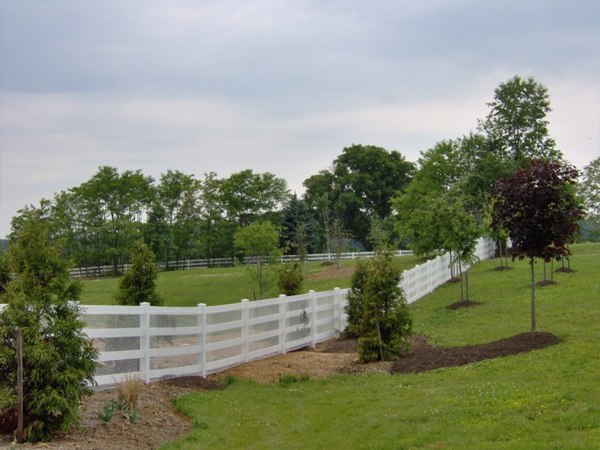 Fence Replacement: If the damage is more than cosmetic, fence replacement may be your best course of action. Fortunately, if the damage is contained to one specific area, you may be able to just replace a single section. However, if the damage is consistent throughout the fence or you would rather replace the entire fence for a more uniform look, Hercules Fence of Manassas, Virginia is here for you. If you have any questions about our blog, “Fence Repair vs. Fence Replacement,” please contact Hercules Fence of Manassas, Virginia today by calling (703)551-2609 or visiting our website. Also, check out Hercules Fence of Manassas on Facebook,Twitter, Google+ and YouTube! This entry was posted on Wednesday, June 19th, 2013 at 7:12 pm. Both comments and pings are currently closed.